Crown Windows is a family run business that started with one man and his van ‘Dave’. Through recommendations, husband and wife ‘Dave and Cheryll’ have progressed.  Crown Windows has blossomed into a company that covers many areas across Bedfordshire, Buckinghamshire, Northamptonshire and Oxfordshire. Crown Windows has strong customer service values. All services are produced by highly qualified and certified contractors within the trade, carefully chosen by Dave and Cheryll. The business has grown into a well-known, respected home improvement service in many areas across the UK. Crown Windows have developed and built remarkable solutions for customers, and only wishes to add to that list in the fourth coming future. All services are produced by highly qualified and passionate team members, who shines through every project they take on to a high level standard. We pride ourselves on our 100% customer service guarantee, ensuring that every customers needs are met in every service. All products used are made to measure and produced by quality UK leading manufacturers within the trade, designed to suit your home.